No proving time makes this an easy quick loaf. Mix the sifted flour, salt and baking powder in a large bowl. In a separate bowl, whisk the buttermilk, eggs, puree and oil. Fold the wet ingredients into the dry mix and then add tomatoes and olives. Oil a 900 g loaf tin and pour in mixture. Bake for 50 – 60 minutes until a skewer comes out clean. Turn out onto wire rack until cool. 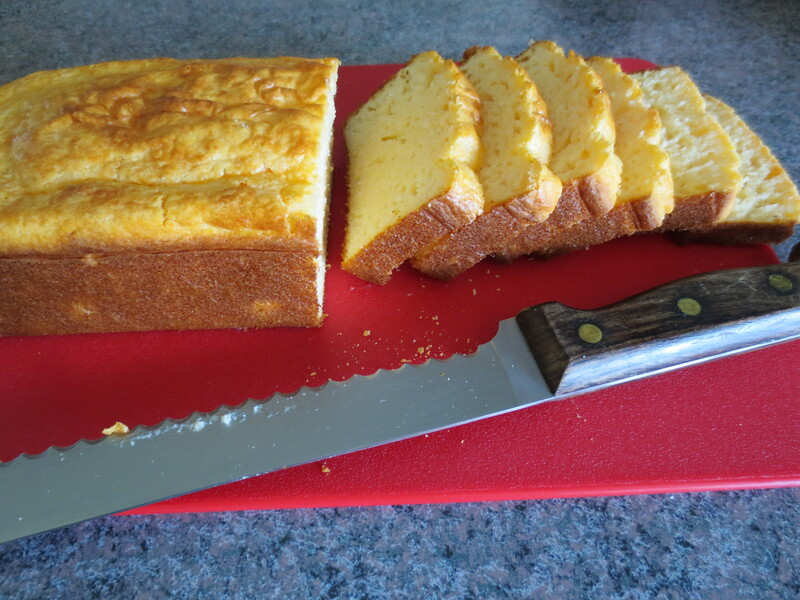 I am always looking for variations on the gluten free bread theme and so thought I would try this recipe. As a taste test, I made half the dough mixture for this recipe and then used 1/2 pkt Well & Good Crusty Bread Mix to make the second focaccia. The bonus of this recipe is that there is no proving time so is much quicker to make. My GF son’s preference though was the one made with bread dough. Preheat oven to 200C. Place two oven trays in oven to heat. In a large frying pan, heat oil on high. Saute bacon for 3 – 4 minutes until golden. Drain on paper towel. In a saucepan, combine milk, oil and salt. Bring to boil Transfer to heatproof bowl. Gradually add in flour stirring. Mix in egg and cheese. Turn onto floured surface and knead until smooth. Roll into large rectangle and sprinkle with 1/2 olives and 1/2 bacon. Divide dough in half. Roll each half between 2 sheets of baking paper to a 25cm rectangle. 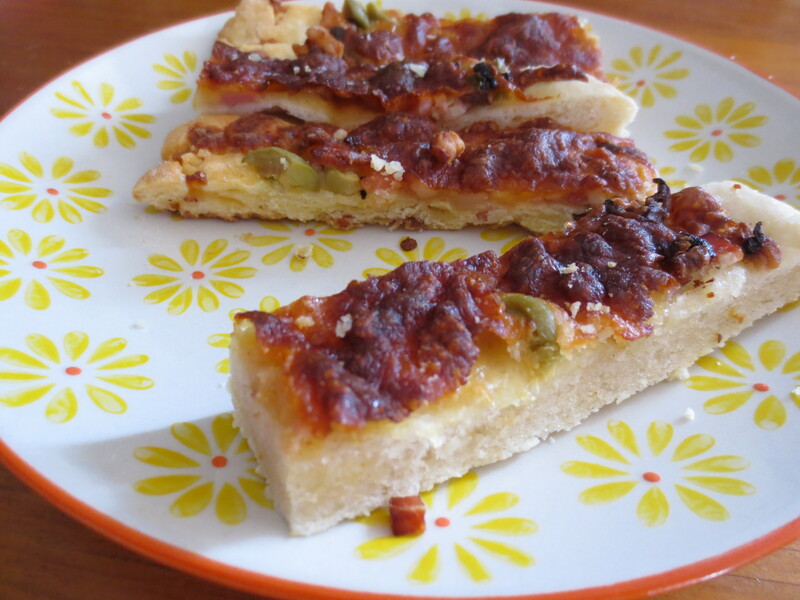 Drizzle with extra oil, scatter with extra cheese and remaining bacon and olives. Transfer to hot transfer on baking paper. Bake 15 – 20 minutes until golden and crisp. 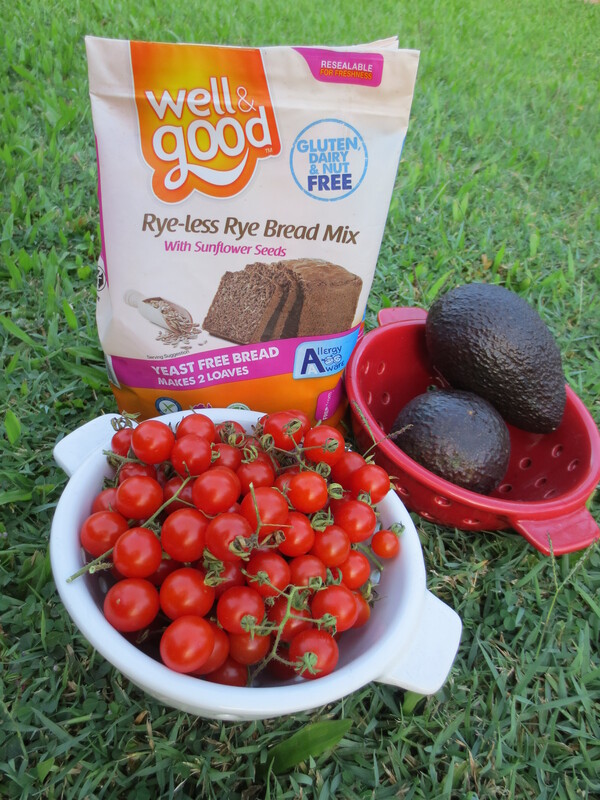 I thank Irena from Cooking Without Gluten for her recent blog about Well and Good’s Rye-less Rye Bread Mix. I have not used “Well & Good” products before but Irena’s photos and blog inspired me to try this bread mix. 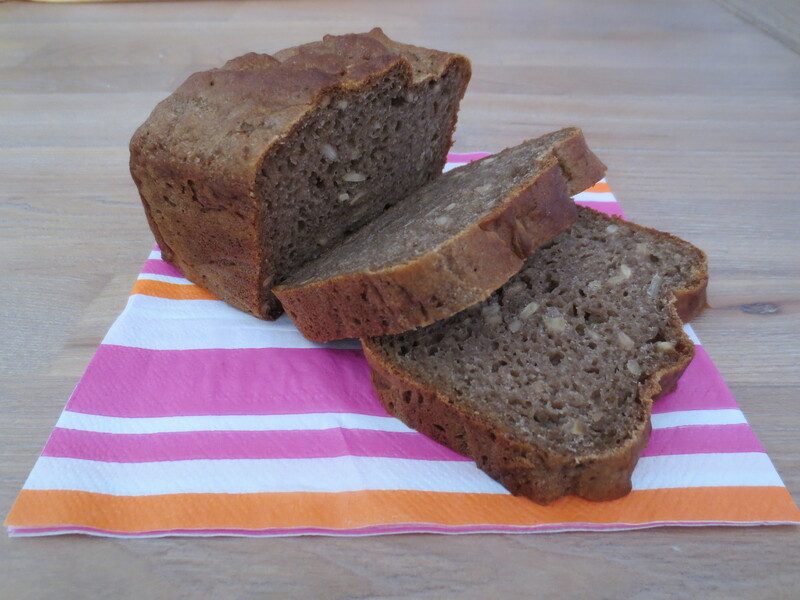 I loved it, my husband had a lukewarm response to it and while my gf teenager had a small piece, I knew that asking him to “like” brown bread was a big ask. It is a product with complex tastes but it is easy to handle and presents beautifully. Don’t be too alarmed at the rather greyish colour of the mixture because the end product is rich and brown. A big thank you to Well & Good who have provided me with a complimentary package of some of their white bread products which is much more appealing to my gf teenager. My first attempt was rated by my gf and non-gf members as a ‘must make again’ bread. It handled beautifully and not sticky at all. 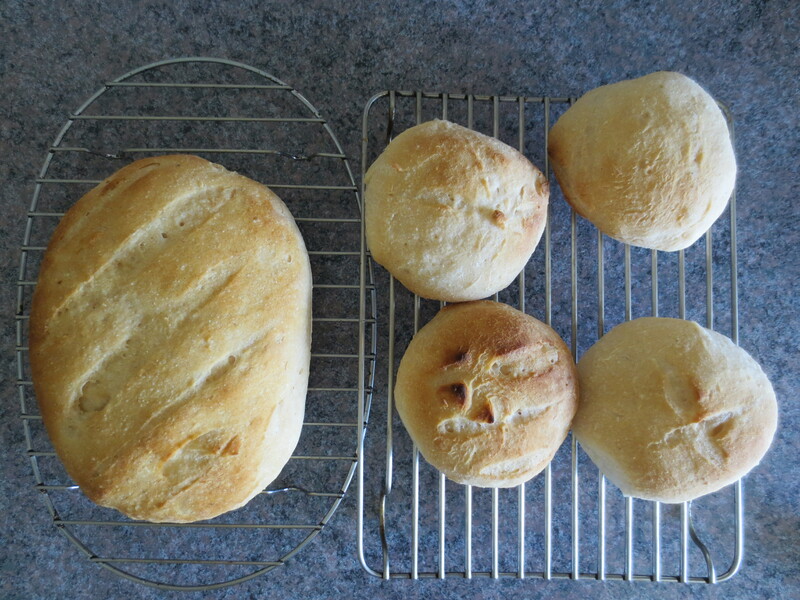 I made a hand shaped small loaf and 4 bread rolls with the pack. It was crusty on the outside and light on the inside. Unlike some of the other bread mixes I have made which have to be cool before you can cut them open, I broke open a bread roll while still warm and it was soft and didn’t glug up. Fresh warm bread and melting butter… we haven’t had that experience since pre – gf days. The bonus with Well & Good’s Crusty Bread Mix is that it includes the yeast sachet and dusting flour sachet. My local Coles had the Rye-less Rye and Healthy Life in Stockland Plaza at Aitkenvale stock most of their cake range and the three bread mixes. You either love olives or you don’t but for our family, olives are one of life’s necessities. I remember my second youngest son’s first birthday party. He hovered over the plate of cheese, salami and stuffed olives and much to the horror of a family friend he happily shoved fistfuls of tasty morsels into his mouth. For bread making, I use packet mixes and one of them is from Springhill Farm: the Real Bread Mix. 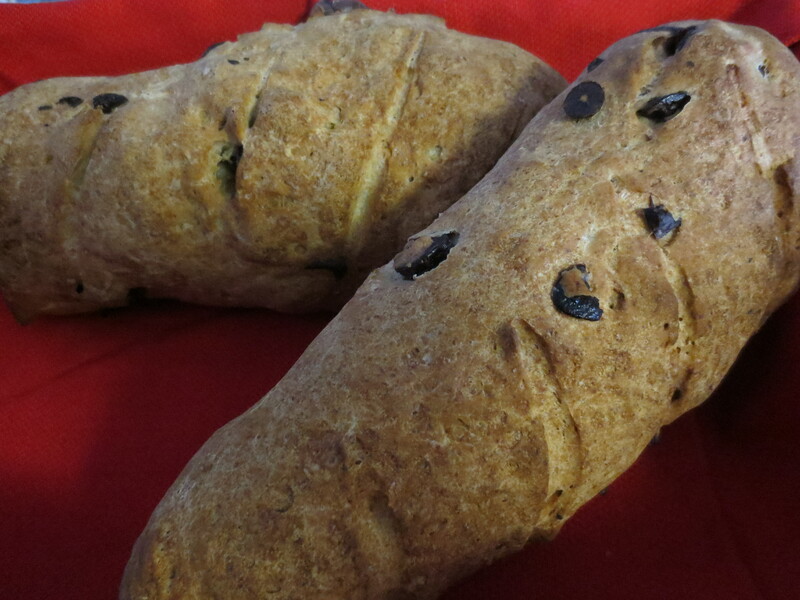 You can use this packet to make an olive bread and I have had good results. Not a confident bread maker, I make gluten free bread out of necessity and as I don’t have pantry space to keep multiple flours to blend myself, I find Laucke and Springhill Farm my best ‘go to’ bread mixes. Laucke has a focaccia recipe using the Easy Bakers Gluten Free Bread Mix but use more than 1 tablespoon of olives… olives are definitely not optional in our household as the recipe states. Add ingredients to a food processor or bowl of a stick blender and blend until you reach your desired consistency. UPDATE: Darren from Laucke has been most helpful answering my questions regarding their gluten free products. 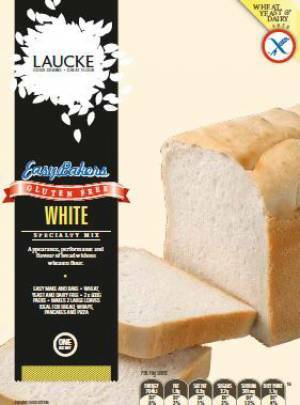 Laucke makes Easy Baker’s White Bread Mix packaged in a 1kg box and Gluten Free White Bread Mix in a 500 g packet. 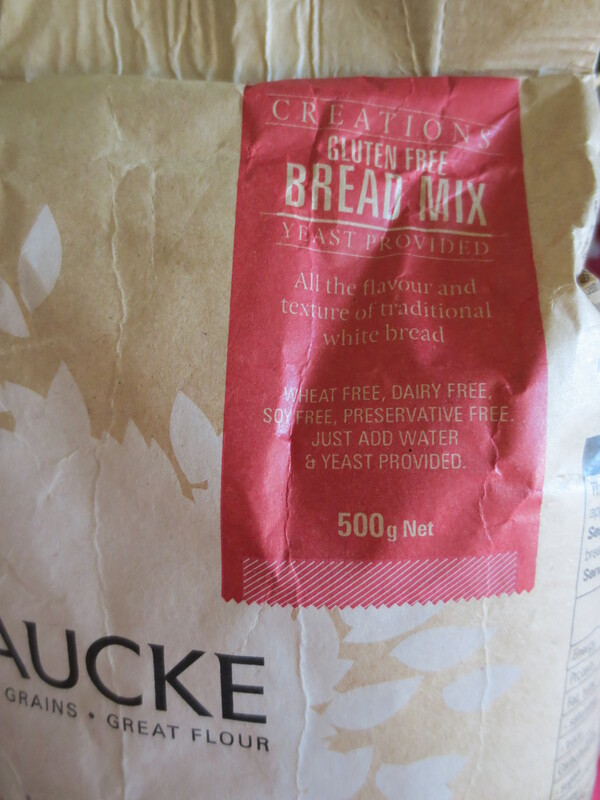 Not only has Laucke rebranded and relabelled their products, but some supermarkets are now shelving the gluten free Laucke products with the other bread mixes. 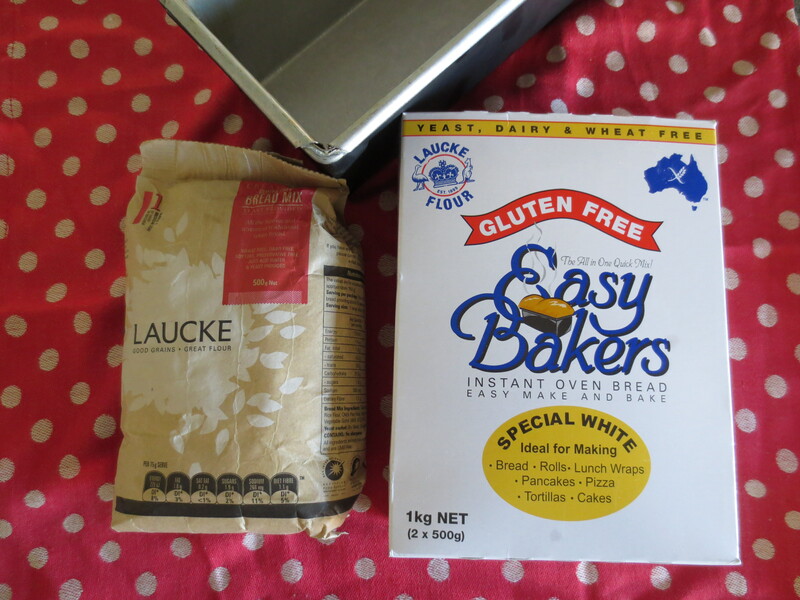 I still can’t find a packet of Laucke Easy Bakers White Bread Mix within a 10 km radius of home, but will have to ring around and/or approach my local shops about restocking the product. 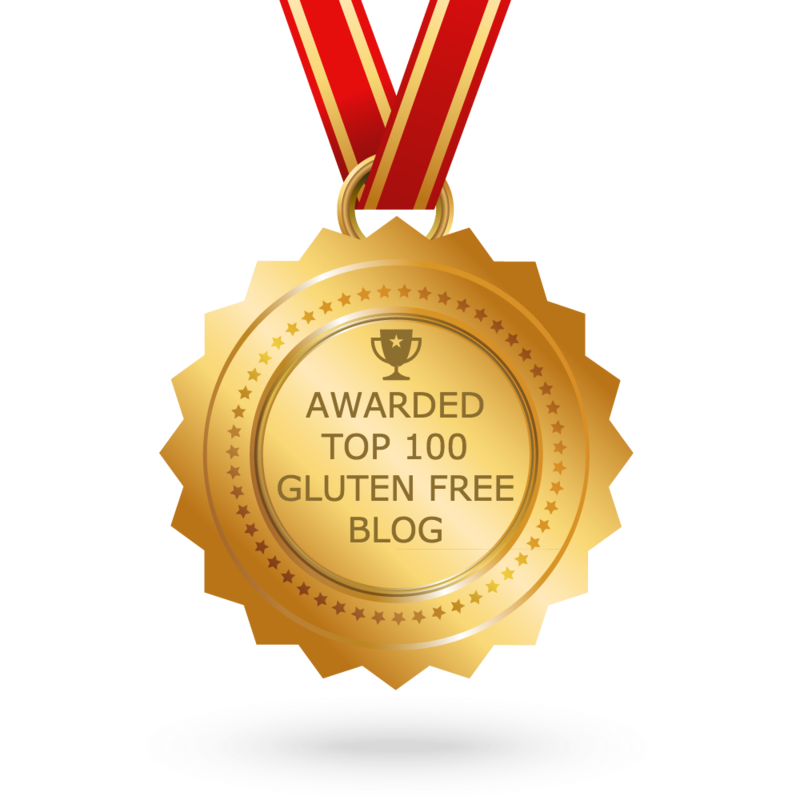 And NO, the 500 g gluten free packet bread mix is not suitable as a substitute for the Easy Bakers gluten free mix and the recipes developed for the Easy Bakers mix. Last week I literally had my husband driving all over the city trying to find me a packet of bread mix. 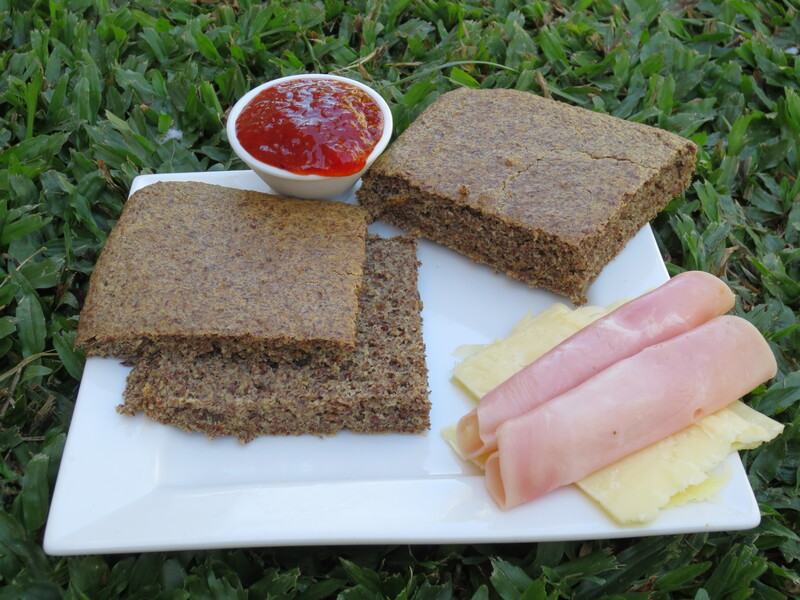 The Laucke GF Bread Mix is a must have pantry item as I use it for : bread rolls, wraps and flat breads. After visiting 5 supermarkets, he came home defeated. There was no Laucke Gluten Free White Bread Mix to be found. We all know that feeling: what do I use now. Just when you settle on a product that you learn how to handle, it disappears. I felt that if need be, I would ring all the supermarkets in Townsville to find out where I could find a packet or two. It wasn’t as if they had replaced this gluten free bread mix with another bread mix product. There was no space on the shelf. It was just gone. With a bit more time toward the end of the week, I asked at the customer service desk about the product. The helpful lady brought the item up on the store’s computer and told me that there were 6 packets in stock. No way… I had checked three times and there was none to be seen. I grabbed a packet, but did not realise that this gf bread mix was in their Creations range and wasn’t the Easy Bakers gf bread mix I was looking for. I did try to use it…. 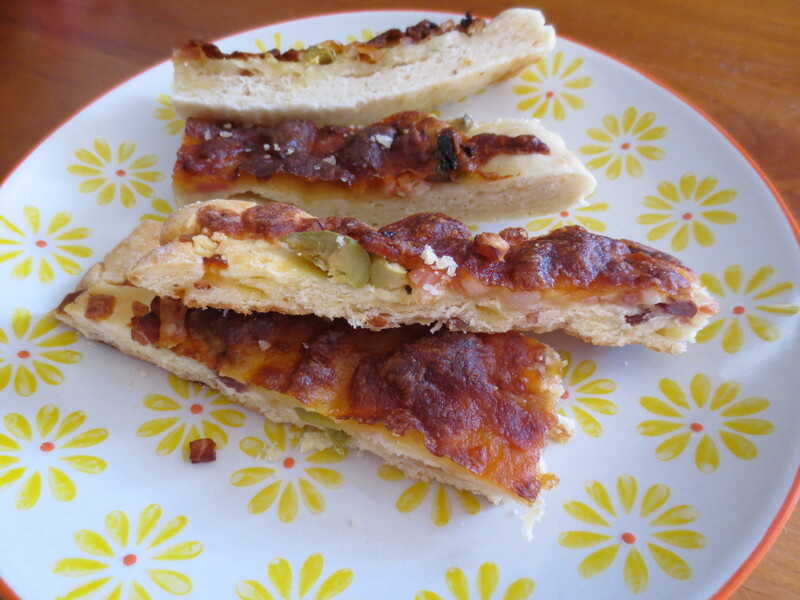 but the flat breads were doughy and the focaccia was interesting. The problem was four fold: firstly the product has been repackaged and no longer looked like the old product, secondly the supermarket now shelved it in the baking section and not in the gluten free section, thirdly the words gluten free are not easily noticed as they disappear in amongst the folds of the packet when it sits on the shelf and fourthly there are two Laucke gf varieties but the supermarkets either have none or the Creations gf white but not the stock standard Easy Bakers gluten free white. 2. 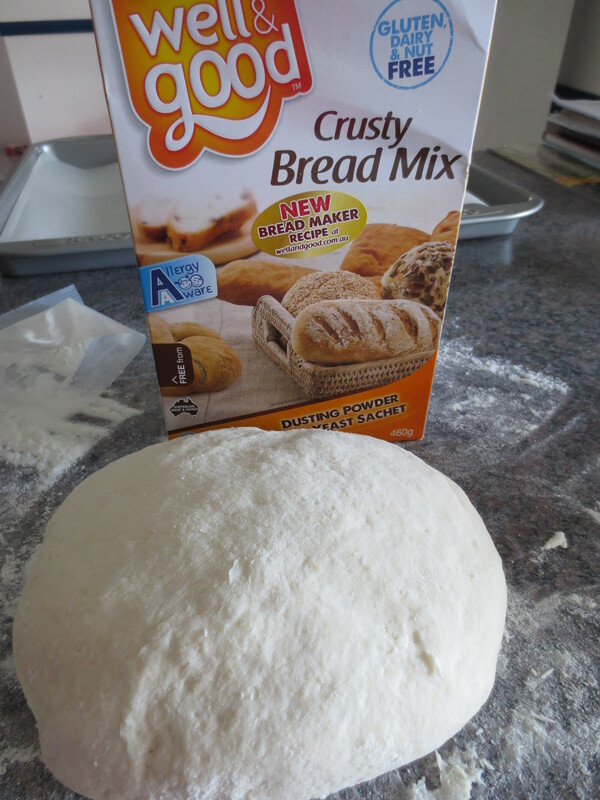 A 1kg box Easy Bakers Gluten Free Bread Mix. Be careful because on the shelf all Laucke products look the same and one could easily select the ‘normal’ bread mix instead of the gluten free one. We have been making do with the Livwell Naan Bread, but only just. 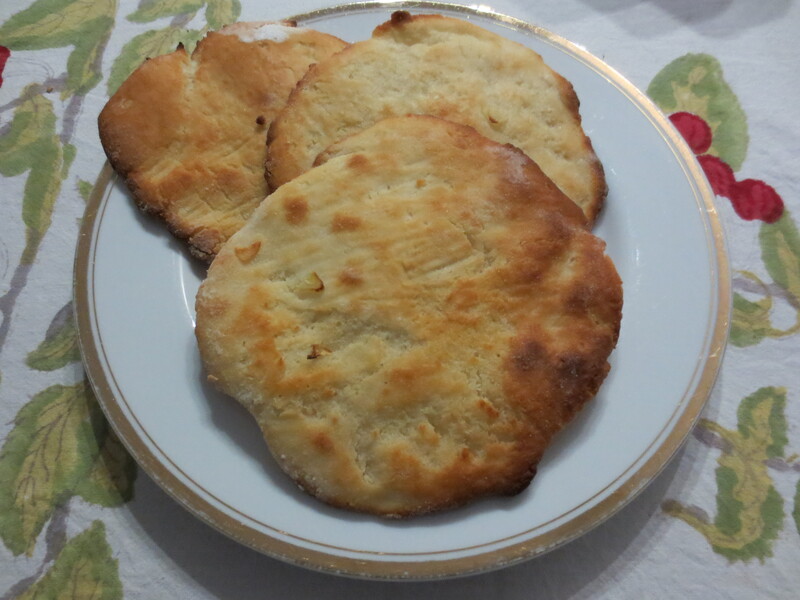 So Sunday was time for me to see if I could make gluten free Naan. The simpler the better is my motto and after looking at quite a few gf recipes I decided to use a taste.com.au recipe and make a few minor gf adjustments as well as using baking trays in the absence of a pizza stone. We all know how unstable gluten free bread mix can be but once we learn not to be afraid of a mixture that either is extra sticky and unmanageable or a mixture that seems to slid apart and separate, we learn that gluten free flatbreads and naans are easy enough to make. Key points to remember: don’t overwork the dough, baking paper is your friend so dust with gf flour and roll mixture between 2 sheets of baking paper, if mixture is too wet then add in extra dry ingredients. Gluten free living and cooking has definitely taken me outside my comfort zone and I hope along the way I am teaching my teenager to see gluten free baking as a ‘normal’ part of his life. 1. Combine flours, yeast, salt and sugar in a bowl. 2. Mix in water, yoghurt and oil. 3. Knead for 5 minutes or until smooth. 4. Place dough in a oiled bowl. Cover with plastic wrap and set aside in a warm place for 1 hour or until the dough has doubled in size. 5. Preheat oven to 250 C. Once oven is heated and your dough is ready, heat baking tray in oven for 5 minutes. 6. Punch down dough and place 1/6 of dough on floured baking paper. Top with another sheet of baking paper and gently roll dough into an oval shape. Remove top paper and brush top of dough with olive oil. Lift dough and bottom baking paper onto heated tray and cook in oven for 5 minutes or until lightly golden. Only one tray in the oven at a time. 7. Repeat with remaining 5 portions. It’s official. 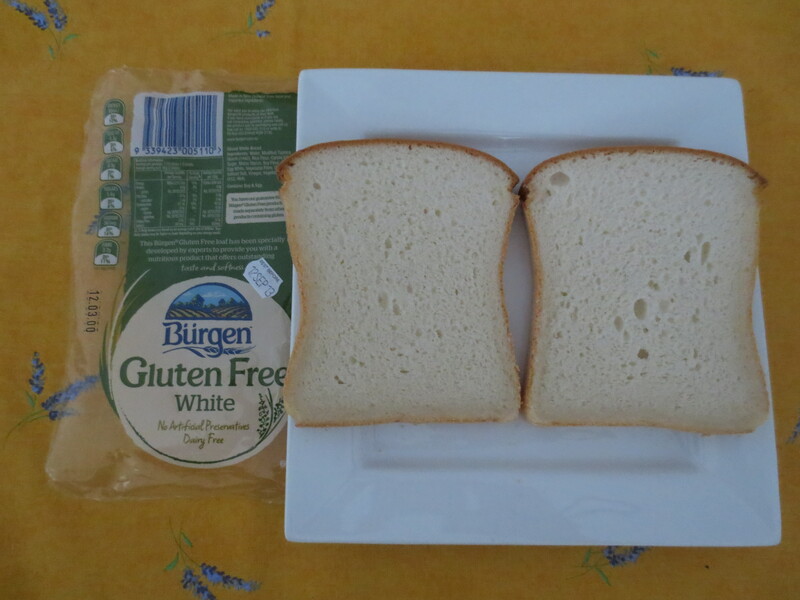 Burgen Gluten Free White Bread is now my son’s favourite bread for lunchbox sandwiches. The bread it soft, moist and it doesn’t fall apart. UPDATE: It comes into store frozen, so if you don’t see it on the shelf, then ask bakery if they can look in the freezer for a loaf for you. I had read about the new gluten free range of Burgen bread available , but hadn’t found it stocked in our local supermarkets. That is until yesterday…and this is one of the hassles with gluten free shopping. You know that there are new products on the market, you search for them and then you give up. And somewhere along the line, this product appears on the supermarket shelves and you don’t even know it is there because you are focussed only on the products you know are available. Gluten free shopping can really be a case of hit and miss. So Woolworths at Fairfield in Townsville now stock Burgen Gluten Free White and Burgen Gluten Free Soy-Lin. I am hoping this means that you can find it in other Woolworths around the city. 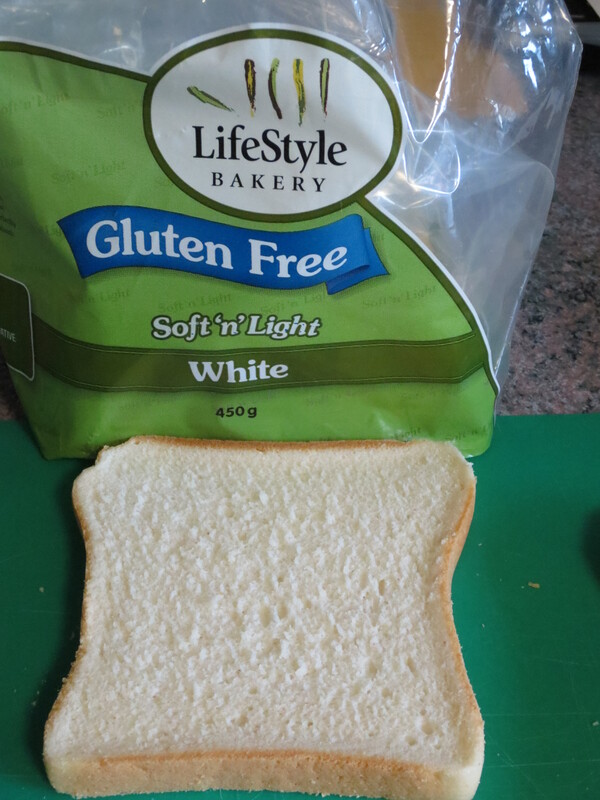 The texture of the white bread is very similar to the Lifestyle Bakery white bread and it holds together well for sandwiches in my son’s lunchbox. Price : $6.99. Preheat oven to 180 . Prepare pan 20 cm x 30 cm (a pan with sides works best) with baking paper. Add wet to dry, and combine well. Make sure there aren’t obvious strings of egg white in the mixture. Pour batter into pan. Spread away from the centre so it won’t cook with a mound in the middle. Bake for 20 minutes, until it springs back when you touch the top and/or is visibly browning even more than the flax already is. Cool and cut into whatever size slices you want. This bread is one of only two breads that my teenager will have as a sandwich. Its texture is similar to ‘normal’ bread and although smaller in size, it holds together well with a meat, cheese and a relish or chutney. Only problem is that it is only available fresh every two weeks here in Townsville. It is stocked by Organic Goodness (Thuringowa Road Kirwan) and they also hold stocks in their freezers. My friends down Brisbane way swear by Golden Hearth bread and pizza bases, but the bread is only available frozen up north. Lifestyle Bakery has a number of other gluten free breads available so check out their website for further details.